Visiting art and craft fairs is among my most favorite activities. I don’t always leave with my arms weighted down with purchases but I always leave inspired. I love seeing all of the different things that people create. It sparks my own imagination. Photographers share images of places and things I may never be privileged to see for myself. Some creations come from an artist whose patience far exceeds my own. People using their gifts to create something excites me. While I do love the convenience of Amazon there is nothing better than purchasing something unique directly from the person who made it. This fall I attended a few art and craft fairs and three items stood out to me. Each item’s creator was a delight to talk to and each item has an earth-friendly twist that I appreciate. 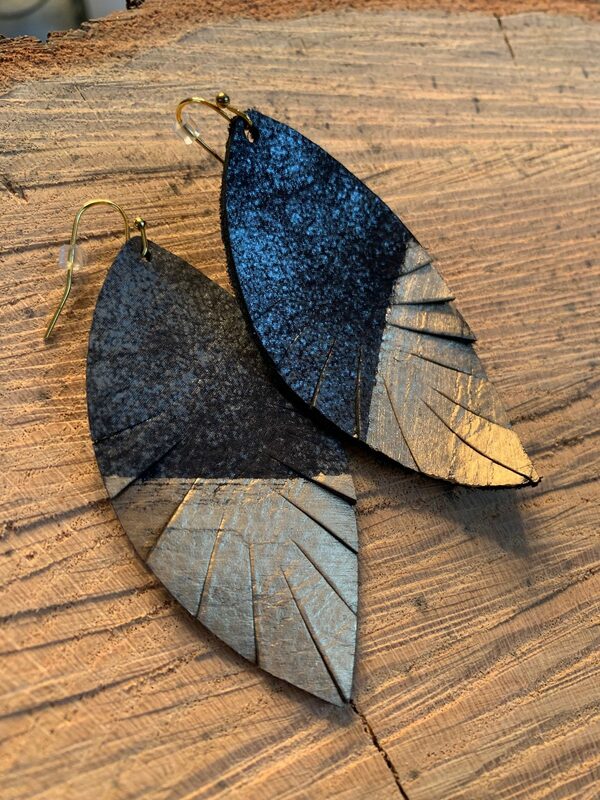 First up, leather earrings from Cecelia Designs that I discovered at the Rivertown Fall Art Festival in Stillwater. This style of earring is trendy right now, although I by no means consider myself trendy I had been in the market for some larger earrings that were lightweight and these fit the bill. I was immediately attracted to the look of the booth and fell in love with pretty much every piece of jewelry. One of the wrap bracelets is on my Christmas list! This jewelry is comfortable, affordable, and combines metal and other natural elements which I love. For each piece of jewelry sold a tree is planted. Maybe my love of jewelry can do a little good in the world! After reading Kaitlyn Cecelia Stock’s bio I’m convinced we have a lot in common. I’m happy to share another creative introvert’s empowering message of working hard and doing some good work for others. Her pieces are sold in over 130 boutiques around the country and online. Her pieces make lovely gifts for girlfriends and of course yourself. Let’s give some sparkle and plant some trees! Also at the Rivertown Fall Art Festival was Dan Arnold. His booth was filled with the most exquisite natural form wood bowls. I began to ask Dan lots of questions like I tend to do, and it was so fun to learn a bit about how he creates these masterpieces. Dan has been in and around art all his life both professionally and personally. He has experimented with many mediums. He started playing with the wood of fallen trees in his yard several years ago. Dan says he lets nature do most of the work. 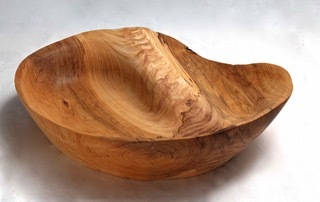 The bowls are hand carved to expose wood grain that can only happen when you leave the conventional lathe-shaped bowl behind creating a functional, yet very organic shape. He follows the shape that nature has laid out without restrictions. My favorite bowls featured a live edge and the addition of a colored resin inlay that flowed with the grain of the wood – seriously so beautiful. 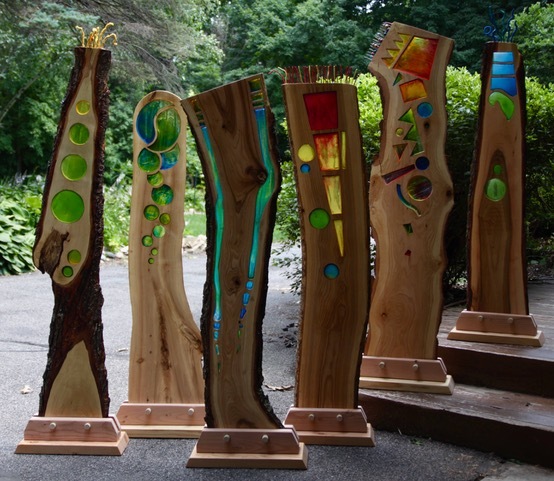 In addition to bowls, Dan makes functional birdhouses that double as yard art and these decorative planks with stained glass inserts. Dan has displayed his work before, but only recently started to sell it. You can find him (really his wife Annie) on Facebook at Birdhouse Crazy. Some of his pieces will be available in the Arts Consortium of Carver County Holiday Gift Show through December 24th. I’m all about cozy, comfy clothes this time of year. I want to look cute, but I also want to be warm, I’m practical like that. While browsing an art fair I discovered the skirts made by Candy Sigmundik and feel in love. Her skirts are made out of sweaters and they are almost as adorable as Candy herself. This spunky grandmother sews daily and loves it. 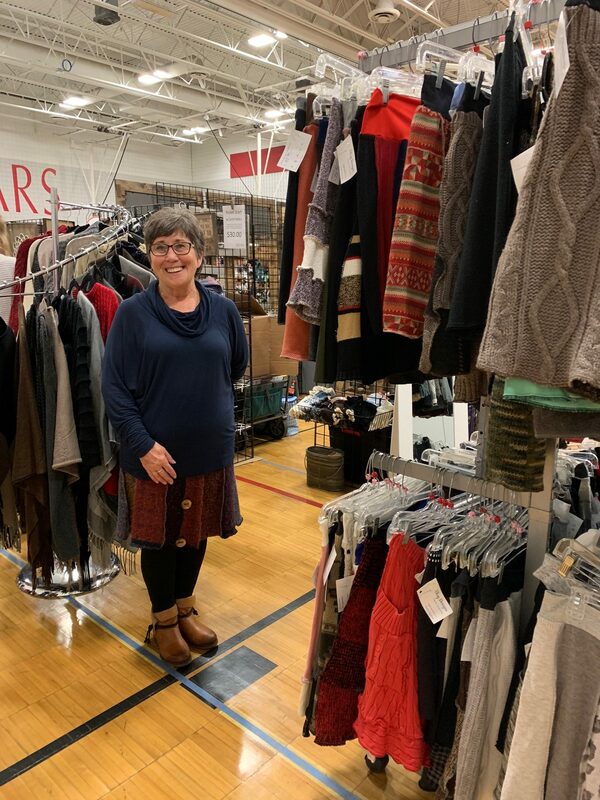 At the urging of family and friends, she purchased a booth at a craft fair to try her hand at selling the skirts she’d been making for people she knew. They sold quickly and she hasn’t stopped sewing since. The sweaters are donated, purchased from secondhand stores, and clearance racks. She will take sweaters that have significance and make memorial pieces as well. Each skirt is unique, which I love. 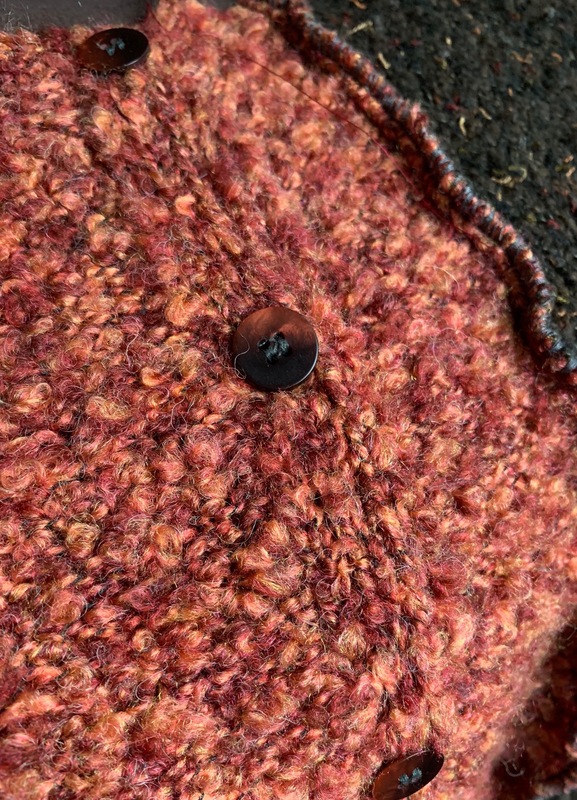 I chose a brown and persimmon colored number with buttons down the front. These skirts are perfect over leggings or tights on chilly days. The waistbands are a stretchy, soft jersey material and the craftsmanship is superb. I ended up running into Candy twice this fall and could not love her more. She is so full of life and is so clearly enjoying what she is doing, I sure hope to be like her at that stage of life. You can connect with her on her Facebook page CKay Designs. These three creative individuals each are passionate about what they do and I’d love for you to support them with a purchase this holiday season. If not them, seek out some other small businesses to support! Small businesses are a crucial part of our economy which makes your support important on a bigger scale but when you meet people who are taking risks and pursuing their dreams you realize your support matters on a deeply personal level.